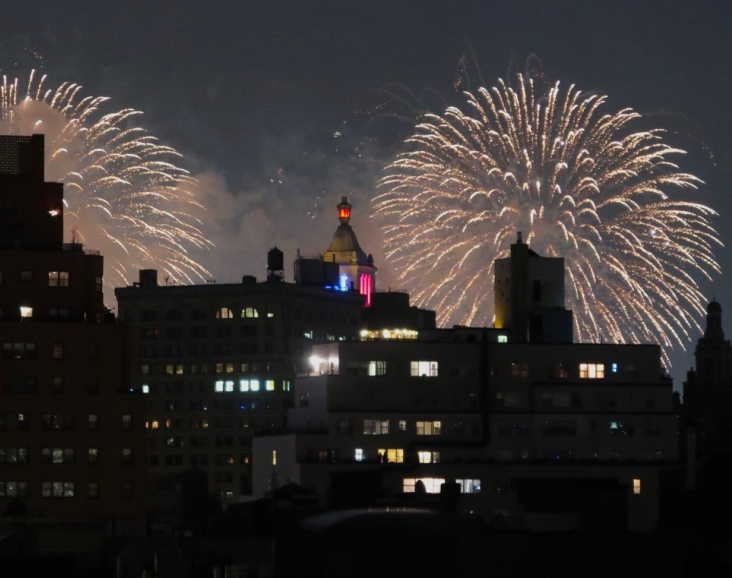 I don’t know why, but every year I feel less and less inclined to go up to my roof to watch the fireworks. Who am I?? The first time I saw fireworks was out in a great big field on a farm on Long Island, and I was completely spellbound, of course. 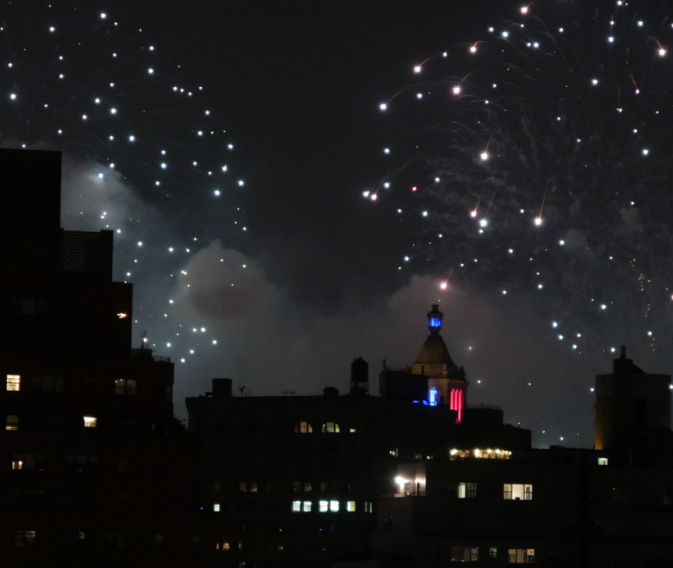 After that night it became my life mission to see fireworks, and to get as close as possible. The pinnacle for me was the 1983 centennial for the Brooklyn Bridge. I was able to wend my way practically right up against the Manhattan side of the bridge and it was simply glorious. I wonder if there’s a video of it somewhere. Found one! This gives a glimpse of how astounding it was. And I was this close. I’ll never forget it. What happened to me?? Maybe the problem is I watch them from a distance now. Except every year I say next year I will go back to going up close and every year I have to make myself climb one flight of stairs! I do it for the photographs. I still love taking pictures.